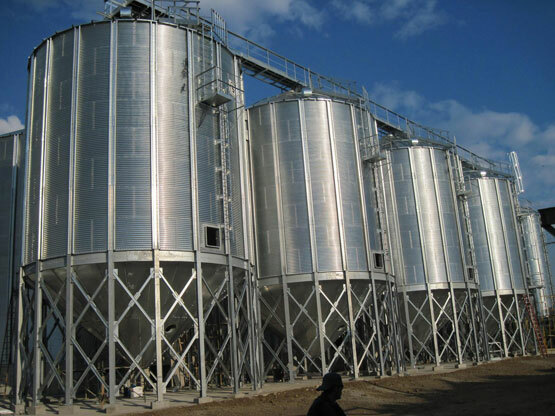 Hopper bottom silo, also named as cone bottom silo, hopper bottom storage bins, refers to silo with a cone bottom. Generally, a funnel is needed in the silo for most material storage. For small silo storages, the steel hopper/cone can be fixed with the sidewalls. However for industrial silos with large diameter, to reduce the risk, the hopper/cone is designed to be supported by the silo bottom floor.